NAPCAN is thrilled with the response from the community to host National Child Protection Week events including Virtual Classroom Presentations from the eSafety Commission, to be held in four states. The topics will include an online introduction to the eSafety Commission to support schools to develop and deliver their cybersafety programs, communicating online and secret security business. NAPCAN will be hosting a Tasmanian Play Your Part Awards Event featuring guest speaker, National Children’s Commissioner, Megan Mitchell, with support from the Department of Health and Human Services. A Taking Action to Prevent Child Sexual Abuse event will be held in the State Library of Victoria. The seminar features speakers from the Australian Institute of Family Studies, Life Without Barriers, Girl Guides Victoria and CyberSafety Solutions. The Ballina Domestic Violence Liaison Committee is hosting a Child Protection is Everyone’s Business Event featuring children’s activities: colouring, painting, threading, play-dough, balloons, badges, pictures and stories. Goodstart Early Learning Andergrove in Queensland will be hosting a Crazy Hair Day, for people to learn more about National Child Protection Week and enjoy fun activities. Register your event today. Play your part to support National Child Protection Week by posting photos from your event or from one that you attend with the #ncpw. Please ensure if you post photos of children and young people, that their parent/guardian gives permission for the photo to be used on social media for National Child Protection Week. 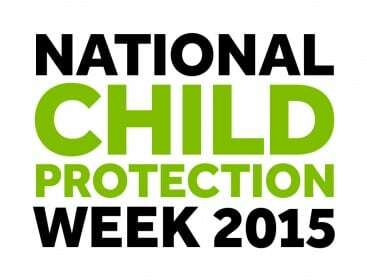 To attend or register a National Child Protection Week event go to: http://napcan.org.au/ncpw/ncpw-events.